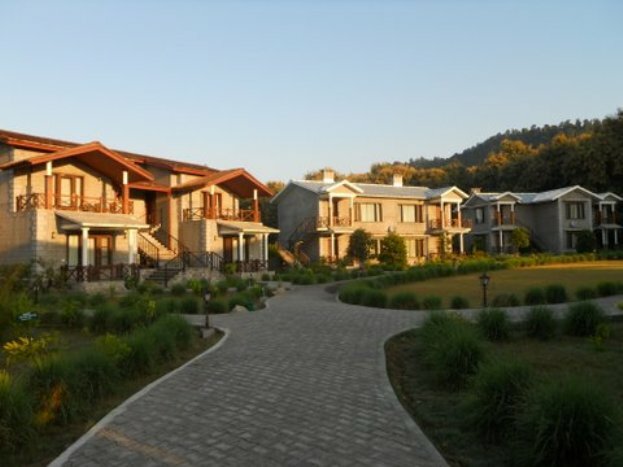 Aahana Resort, The Corbett wilderness, Vill - Sawaldeh PO Semalkhaliya, Ramnagar Nainital ( UA). 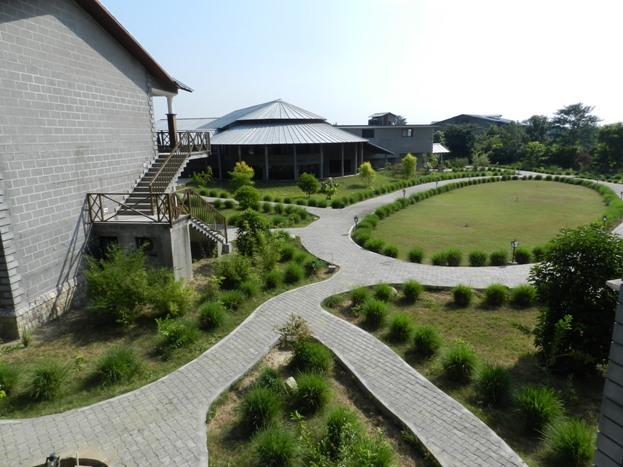 Aahana Resort An eco-friendly resort spread in 11 acres along with the long stretched wall of Corbett National Park. 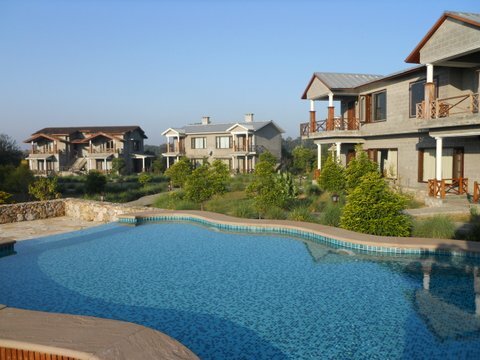 Aahana Resort is the new heaven of wellness and rejuvenation for those seeking a luxury resort experience. 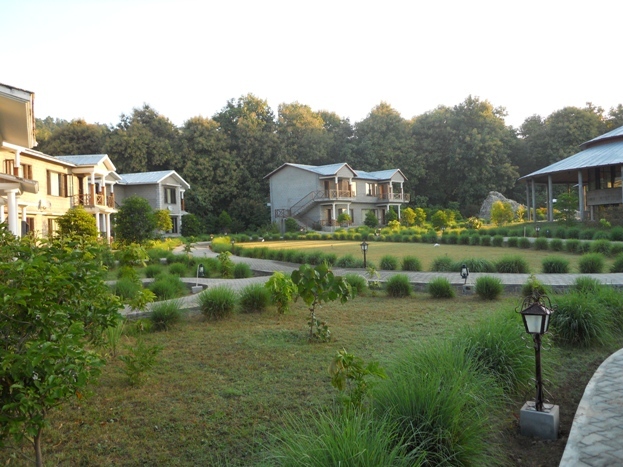 The first rays of the rising sun (Aahana) fall on the resort and bathe the property with golden light. .
Aahana touches the forests of Corbett National Park all along its entire length on the north eastern boundary. The Khara Gate of the Jhirna Range of CTR, which stays open throughout the year, is in close proximity to the resort. On the drive from Aahana to Jhirna are the grasslands of Laldhang, which have been cleared of all village dwellings by the Reserve and are fast becoming a haven of refuge for wild animals. . Luxury reigns supreme here at our elegant, full-service resort which features a unique collection of individually decorated rooms located in different clusters. 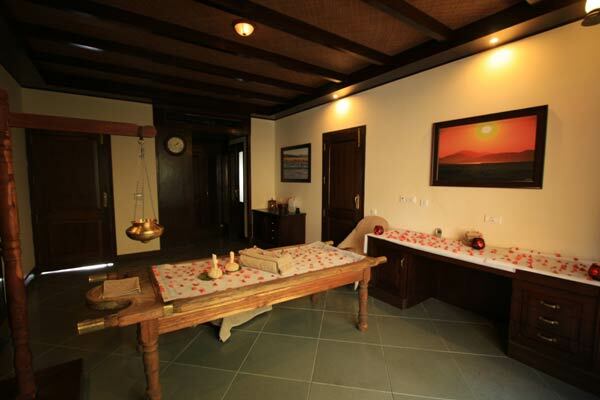 Various categories of rooms have been designed to accommodate the small size family to large. 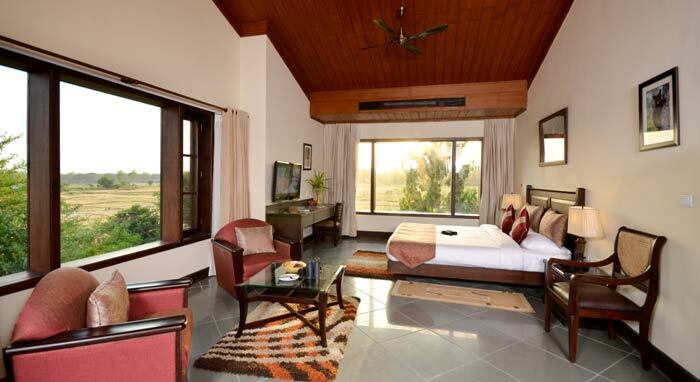 The clusters comprising the rooms and the suites from one to two bedroom has got a beautiful view of Corbett Range. The spacious guestrooms are warm, sophisticated and welcoming, with well-appointed bathrooms. 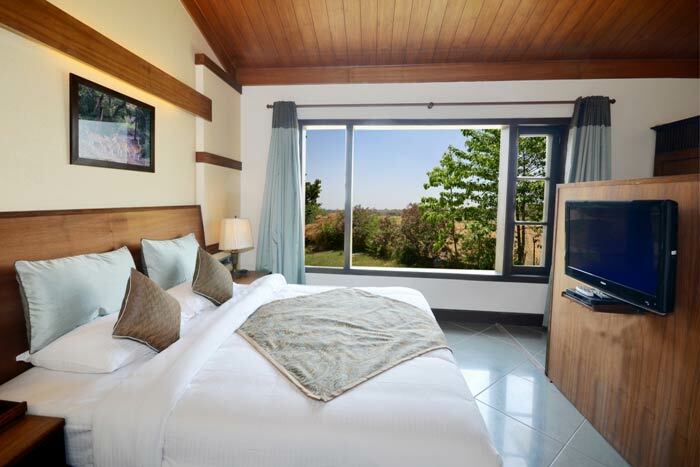 All the rooms have got private balcony overlooking swimming pool, forest and garden (depending upon the location). All the rooms are equipped with 32/42 inch television, international direct dialing, in room safe, in room tea/coffee maker and mini bar. 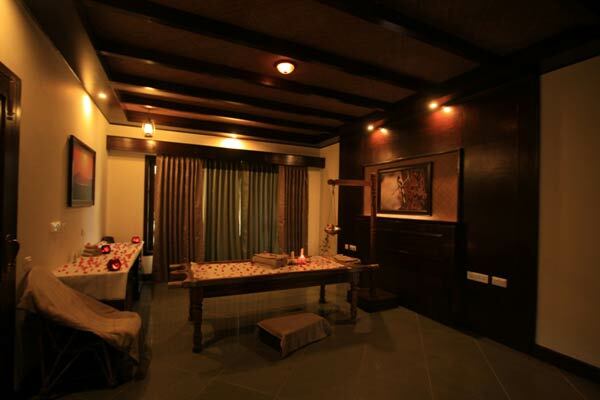 Premium rooms are assigned real fire place which come into handy when the evening chill sets in. � 1999 - 2013 Corbett National Park - Nainital Tours & Package. All rights reserved.